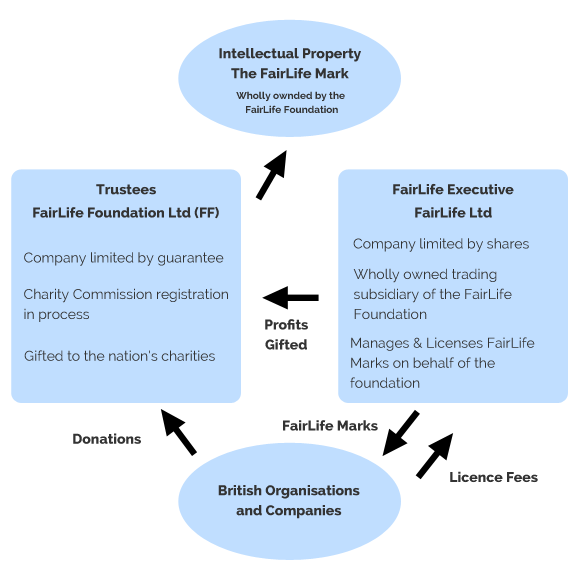 The FairLife Charity was started entirely by volunteers. The process took over five years and involved people of all ages and backgrounds working together for the good of the country. This was done to ensure that the fair trading initiative was not conflicted by a requirement for funding. The charity is being gifted to the nation by passing ownership to other leading charities and not-for-profits. This will ensure that the charity works on behalf of the British people and operates with good governance.